Polymers continue to play an ever increasing role in the modern world. In fact it is quite inconceivable to most people that we could ever have existed of the increased volume and variety of materials without them. As a result currently available, and the diversity of their application, characterisation has become an essential requirement of industrial and academic laboratories in- volved with polymeric materials. On the one hand requirements may come from polymer specialists involved in the design and synthesis of new materials who require a detailed understanding of the relationship between the precise molecular architecture and the properties of the polymer in order to improve its capabilities and range of applications. On the other hand, many analysts who are not polymer specialists are faced with the problems of analysing and testing a wide range of polymeric materials for quality control or material specification purposes. 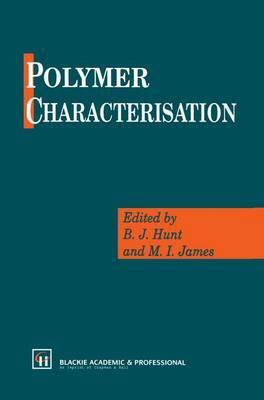 We hope this book will be a useful reference for all scientists and techno- or industrial laboratories, logists involved with polymers, whether in academic and irrespective of their scientific discipline. We have attempted to include in one volume all of the most important techniques. Obviously it is not possible to do this in any great depth but we have encouraged the use of specific examples to illustrate the range of possibilities. In addition numerous references are given to more detailed texts on specific subjects, to direct the reader where appropriate. The book is divided into II chapters.